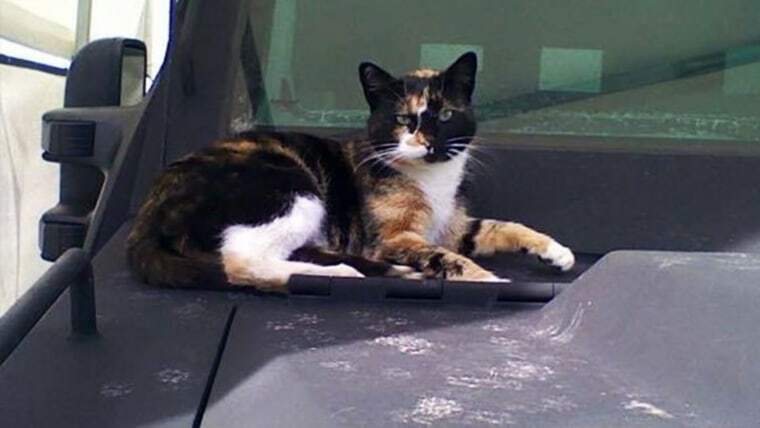 Police in Boston have issued a special APB for one of their own; a once-stray calico cat who is now considered part of the team. The friendly kitty, nicknamed SWAT Cat, quickly purred her way into the hearts of the team in 2013. After lounging on the hoods of armed vehicles, perching on motorcycle seats, and rubbing against officers during mealtime at the unit’s headquarters, SWAT officers began to consider her the unit’s unofficial mascot. Team members helped get her spayed, vaccinated, and micro chipped. Her home was built alongside the team’s equipment: a kennel with a special heating pad and her food bowl. But now, no one has seen the furry fixture for nearly three weeks and police are asking the public for help. “A couple days turn into a week, to two weeks and now three. We miss the cat,” Burroughs told the station. If you have any information about the cat’s whereabouts, please contact the Boston Police at (617) 343-4520. Rachael Trost is an Associate Editor of social media and digital content for Dateline NBC and NBC News Specials. She started at Dateline in August 2014. Rachael graduated from The Edward R. Murrow College of Communication at Washington State University, where she worked on numerous award winning broadcasts and publications. She currently lives in New York City.